Many of us need to face facts: “the way Mom used to make” and “all-natural” aren’t necessarily equivalent statements. Classic family recipes for cookies often contain ingredients that in no way mesh with a healthy, natural diet. Trans-fat or hydrogenated-oil-laden ingredients like margarine and most vegetable shortenings might be tasty, but they’re also some of the worst things you can put in your body. Similarly, artificial ingredients like those found in food dyes and sprinkles have been linked to cancer in studies and are being investigated for possibly causing hyperactivity in kids. That’s no way to spread holiday cheer! Instead, consider making a commitment to using natural ingredients this year. We’ve already discussed ways to eliminate unhealthy fats from your baking, but it’s also relatively easy to ditch artificial food dyes. 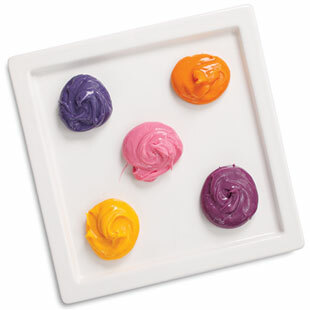 Look for all-natural food dyes, such as red dye made from beets, available in natural-foods stores or online. Or try a drizzle of chocolate or a sprinkle of finely chopped nuts to give cookies extra appeal. Either way, feel confident knowing that the gifts you’re giving are not only spreading smiles, but promoting good health as well.